Grind herbs & spices in style with HealthSmart™ Porcelain Mortar and Pestle. Perfect designer complement to your kitchen décor that is functional, too. Use fresh-ground herbs and spices in your recipes, and you’ll be delighted at the depth of flavor the natural oils add to your dishes. 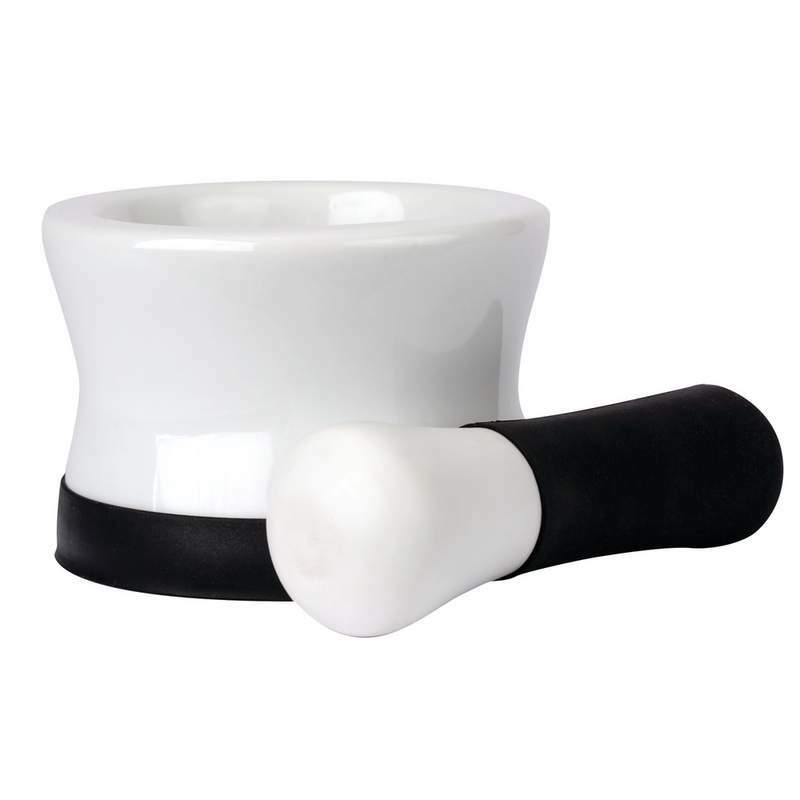 Set includes mortar with removable black silicone base and pestle with black silicone handle. Mortar measures 4-1/2” x 4-1/2” x 3”. Pestle measures 2” x 2” x 5-1/2”. Gift box.